The worldwide membership of the International Tibet Network (1), consisting of almost 200 Tibet campaign organizations on six continents, condemns China's continuing crackdown on the monks of Kirti Monastery and Tibetans living in Ngaba, Amdo in Eastern Tibet (Ch: Sichuan Province). This crackdown has resulted in at least 34 detentions, beatings, restrictions of movement, food shortages and an intensive "patriotic re-education" campaign following the death of a 20-year old monk named Phuntsok from self-immolation on 16 March (2). 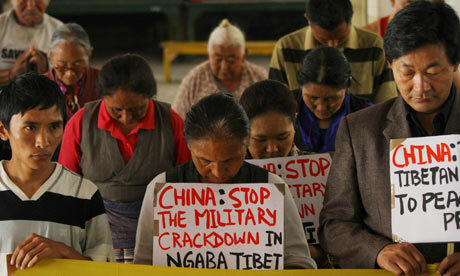 The Tibet Network calls on governments around the world to issue a public statement of concern about the crisis and to immediately convey to China's leaders the message that its security forces must withdraw from Ngaba, all detainees must be unconditionally released and unfettered access must be granted to international observers and media. In the coming weeks the US/China and EU/CHina Human Rights Dialogues are expected to take place, as well as visits to China by a number of leaders including Australian Prime Minister Julia Gillard and European Commission President Herman van Rompuy. Tibetans and Tibet supporters worldwide urge all those involved in these diplomatic exchanges to robustly express their concern for the safety of monks and Tibetan lay people in Ngaba and to call for an end to the human rights abuses being inflicted by Chinese security forces. 3. A detailed analysis of the Voice of America Tibetan Service's video has been published by ICT, see http://savetibet.org/media-center/ict-news-reports/dramatic-new-footage-reveals-ngaba-crackdown-refutes-chinese-claims-normal-life. To contact VoA about the footage, email contact-tibetan@voanews.com. Photos are available from http://www.freetibet.org/newsmedia/ngaba-photographs. 4. 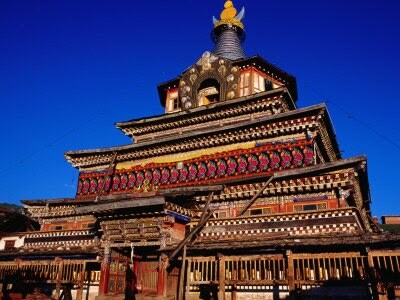 To read His Holiness' statement in full see http://www.dalailama.com/news/post/663-appeal-by-hh-the-dalai-lama.